More people die in Ireland every year from cardiovascular disease than any other disease. It accounts for 36% of all deaths and is a major cause of disability, representing a huge burden on our healthcare system. 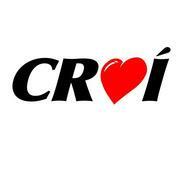 Croí has been to the fore in the fight against Heart Disease & Stroke in the west of Ireland since 1985. In the past 30 years, the Foundation has worked tirelessly, and financed its work through an active fundraising programme, all with the aim of reducing the impact of heart disease & stroke on families in the west.